This morning I was walking down 18th Street, crossing Pennsylvania Avenue by the World Bank when I heard what sounded like “a test from the Emergency Broadcast System.” I looked behind me and realized it was coming from my purse and that my phone was jiggling. I pulled out my phone to see that there was a flash flood warning. I looked up and saw dozens of people on the crowded sidewalks pulling out devices. They all got the same alert. As everyone looked at their phones at once, it looked like a flash mob. My fellow commuters and I experienced a great example of digital gov at it’s best. Let’s tease out SIX WAYS it worked. It was timely. We were alerted that there was a weather emergency when the warning was announced. Not when we turned on the radio or TV. Not after we logged in to a social media site. It was mobile. Most people carry mobile devices. This took advantage of how people consume information. It used public data. The data was from the National Weather Service in the The National Oceanic and Atmospheric Administration which is part of the U.S. Department of Commerce. It was delivered via public-private partnership. 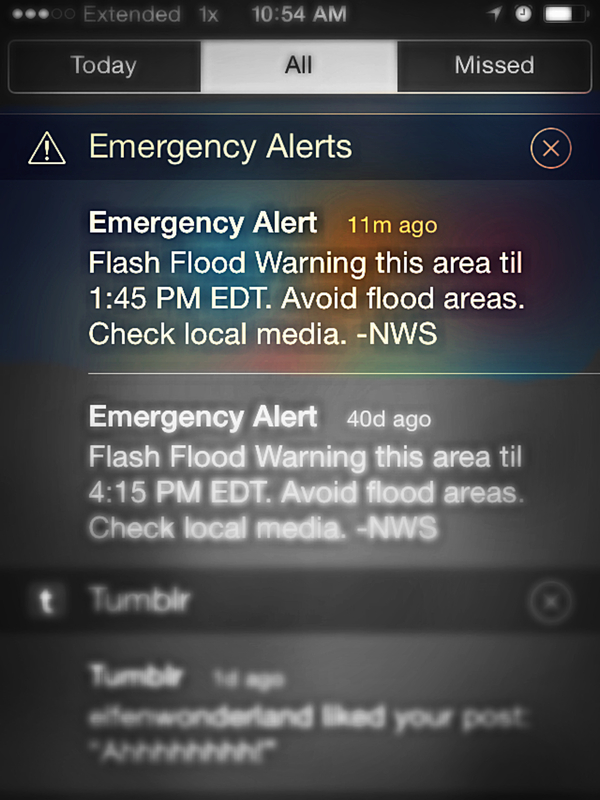 FEMA, FCC and the wireless industry (CTIA) worked together to provide free Wireless Emergency Alerts (weather warnings, evacuations, AMBER alerts and national emergencies) to WEA-enabled phones with most carriers. 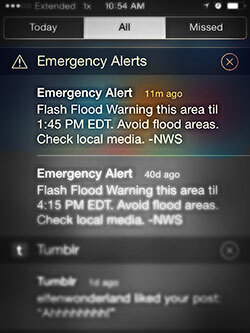 NOAA provides the weather part of the alerts. Digital Gov isn’t an idea. It’s the reality that agencies are working on every day, in real life.